You may use these to practice and to reflect on your progress. 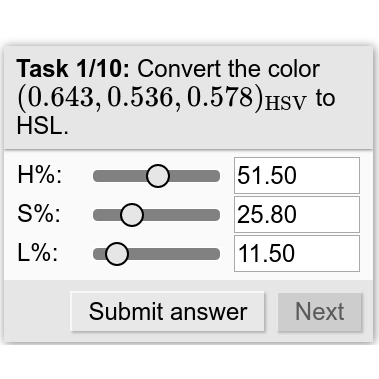 The following exercises may include tasks for any of the supported color systems. 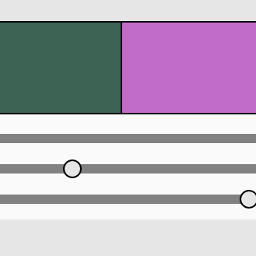 For more specific exercises, have a look at the respective color system page. You are given a color in numerical form. Find it among a list of color patches. 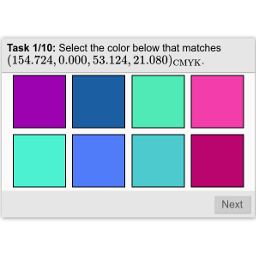 You are given a color in numerical form. 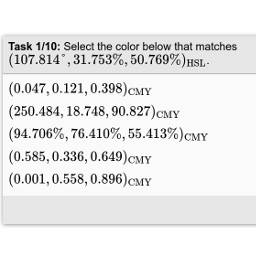 Select the correct conversion from a list.